SANTA CRUZ, Calif., March 11, 2019 (GLOBE NEWSWIRE) -- Plantronics (NYSE: PLT), an audio pioneer and unified communications technology leader, today announced the appointment of Mr. Charles (Chuck) Boynton as executive vice president and chief financial officer, effective March 8, 2019. Boynton will report to Plantronics chief executive officer Joseph (Joe) Burton and will serve on the company’s senior leadership team. Plantronics announces the appointment of Mr. Charles (Chuck) Boynton as executive vice president and chief financial officer. Boynton will lead the company’s global finance function, act as the chief financial strategist, and work with the executive leadership team to set overall business strategy. Most recently, Boynton held the position of executive vice president and chief financial officer for SunPower Corporation. Throughout his eight years with SunPower, he held various leadership roles including heading the global power plants’ business unit. 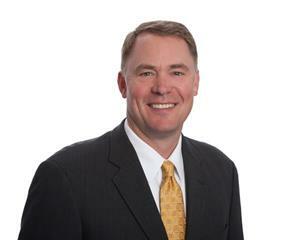 He also served as chief executive officer for 8point3 Energy Partners. Previously he served as chief financial officer for ServiceSource, LLC. Earlier in his career, he held key financial positions at Intelliden, Commerce One, Inc., Kraft Foods, Inc., and Grant Thornton, LLP. Boynton succeeds Pam Strayer, who will shift into an advisory role through the end of May, transitioning into the company’s new fiscal year. The change in executive leadership is a natural progression and is not the result of any accounting or financial irregularities.